WASHINGTON - The fifth annual Latino Conservation Week (#LatinoConservationWeek, #LCW2018) is underway and continues through July 22, 2018. The week is an opportunity for Latinos to demonstrate their passion for enjoying and protecting public lands. During the week, the Latino community will go on outings, volunteer cleanups, educational events, roundtable discussions, and other community events - more than 120 events have been scheduled nationwide, to encourage their engagement in the outdoors and stewardship. "We are thrilled to take part in Latino Conservation Week and to support efforts by Hispanic Access Foundation and its many partners to invite the Latino community to engage the great outdoors," said Michiko Martin, Director, U.S. Forest Service Recreation, Heritage, and Volunteer Resources office. "Through shared stewardship, we can connect a diverse America to the natural and cultural legacy of our public lands and offer unique opportunities for the conservation leaders of tomorrow." This year, Hispanic Access Foundation is proud to team up with the U.S. Forest Service (USFS) to spotlight events taking place in various national forests during the week, as part of an ongoing partnership designed to connect Latinos with professional opportunities and inspire the next generation of environmental stewards. "Latinos are passionate about enjoying the outdoors and hold a strong belief that we have a moral obligation to protect it for future generations," said Maite Arce, President and CEO of Hispanic Access Foundation, which launched Latino Conservation Week in 2014. "The week's events introduce Latinos to new opportunities, new locations and new ways to translate their passion for the outdoors into making a difference for our nation's treasured natural resources." The series of events include programs that highlight the work of students in the USFS Hispanic Access Resource Assistant Fellowship (RA Fellowship) program. The program is a joint effort by the US Forest Service (USFS) and Hispanic Access Foundation (HAF) to connect Latino and Latina professionals with careers in natural resource conservation. Latino Conservation Week activities supported by interns encourage learning and fun for the whole community. 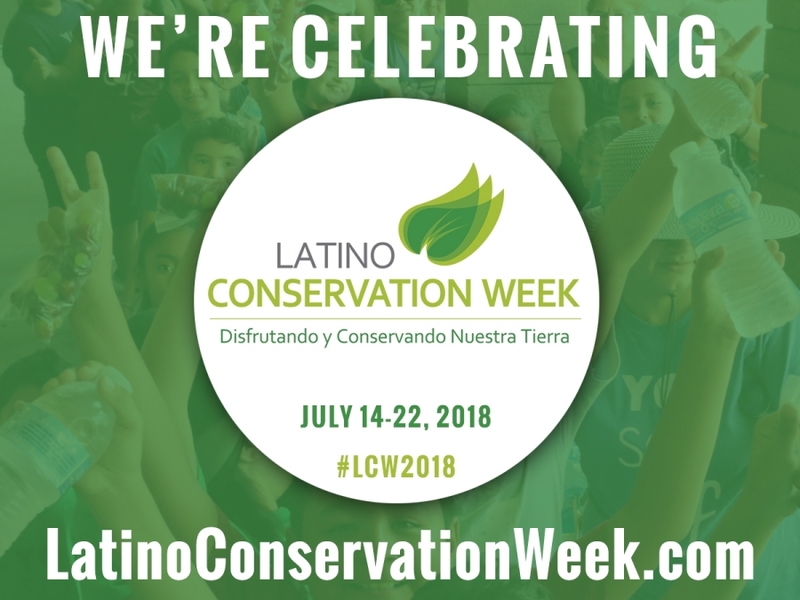 The activities span several states and a full listing of events is available at www.LatinoConservationWeek.com and by following #LatinoConservationWeek and #LCW2018 on social media. Salt River Tubing: Make a Splash at the Verde River! Wildwood Picnic Site: Los Angeles Kick Off Event! Cibola National Forest: Forest Bound! - Summer Native Plant Immersion!